Discounted prize or free event tickets for IAS organized events. Priority booking for IAS members and information provided to members in advance before the ticketing is opened for general public. Discounted events for partner events. For example, we got 20% discount in Bollywoood movie tickets. Fees are annual registration fees from January up to December for any running year. The annual fees for Family is 200 SEK, Individual is 125 SEK and Student is 100 SEK. Please be aware that the granting of membership is at the discretion of the board and will only be considered once the membership fees have been paid and the form has been duly filled up and submitted. Have you paid your membership fee? 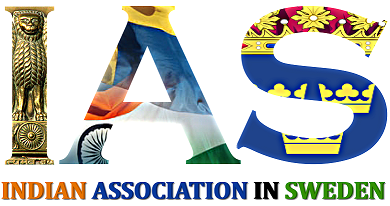 To register as a member of Indian Association in Sweden you need to first pay the membership fee. Please refer the "Payment information" section above for more information regarding the membership fee.